Easy care lightweight Diamond Pique bedding in white or ivory accented with three rows of an applied tape. 60% Cotton/40% Polyester. Select embroidered monograms below. 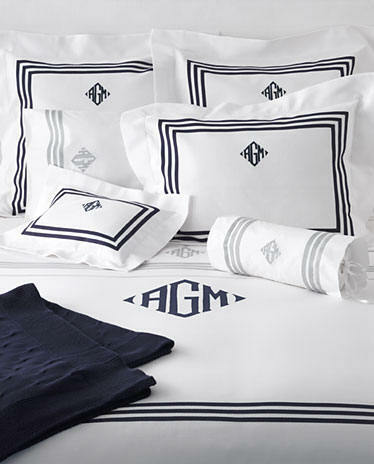 For appliqué monogramming as shown, click here. Lightweight Diamond Pique in White or Ivory.